Social media is a powerful and interesting tool. We worship it, belittle it, ignore it and fuss over it. And that’s just Monday through Thursday! For the most part social media is a wonderful way to stay in contact with friends near and far. It’s also a great tool to talk about common interests – like wine. 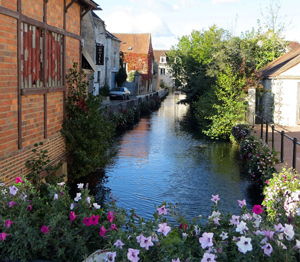 It was rather surprising that many had not really tried real Chablis – grown at the north end of Burgundy. Several asked about the difference and why Chablis is special. Not to start too much with French geeky wine talk, but it’s all about the terroir. Let’s start by mentioning the photo at the top of the post. I took that shot atop a cold Chablis hill in October 2012. 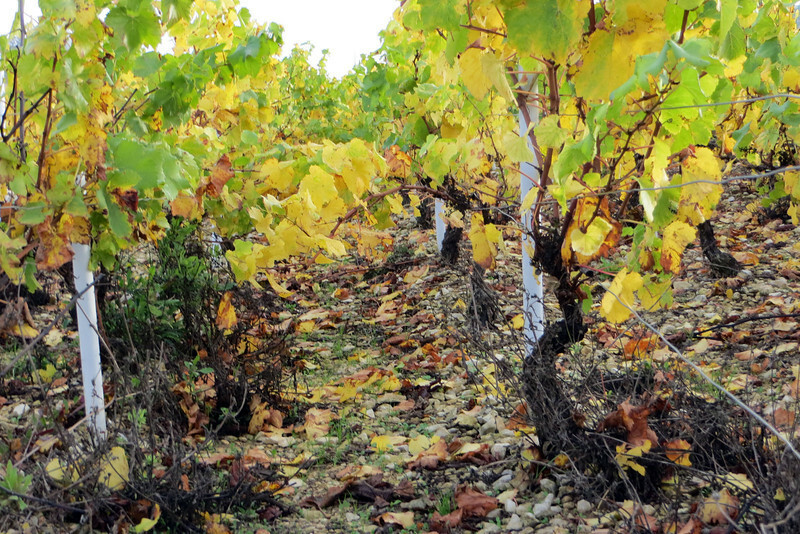 Look closely at the floor of the vineyard and you will see beautiful fall leaves and stones – LOTS of stones. Chablis’ Chardonnay is planted on the hillsides surround the beautiful tiny hamlet of Chablis with soil atop limestone. Those rocks seen above are seen in every vineyard in Chablis. The limestone gives Chablis its “flinty” or mineral flavor. Additionally, Chablis is a cool climate area where Chardonnay grapes do not ripen like California. In the hot California sun Chardonnay becomes very ripe with higher alcohol levels from all that sun and hot air. Chablis’ Chardonnays are grown in cooler temperatures and produces lighter fruit and more acidity. Chablis is largely fermented and aged in stainless steel. A new generation of Chablis winemakers are experimenting with oak but far less than you will find in a white Burgundy. From a visit with winemakers over three days, we heard often that only a portion of the final blend would be aged in oak. And often the oak is older wood without the impact of new oak – often reserved for red wines elsewhere in France. Understanding really good wine is more often than not a lesson in geography, climate and soils. I’ve been lucky to visit wine regions around the world and the one consistent message from winemakers about great wine? Great wine is made in the vineyard. A friend commented on the Facebook post that Chablis can be expensive – and he’s right. Those $15 bottles, are frankly, not going to give you a true representation of great Chablis. I do believe the Drouhin Vaudon Chabis is a good entry level bottle of wine. It can be found in the $18-$23 range in good wine shops. 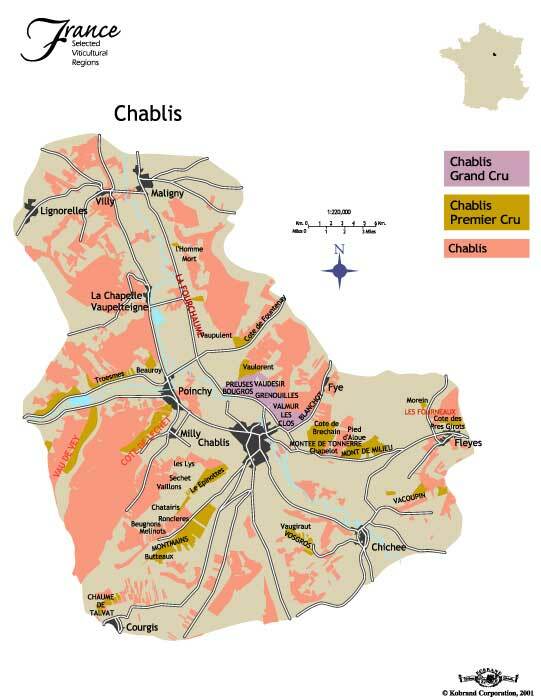 Chablis has four levels – Petit Chablis, Chablis, Premier Cru, and Grand Cru. I’d strongly recommend trying at least the Premier Cru Chablis to get a great taste of French terroir. Averages are always a so-so barometer but you can count on spending $35-$50 for a Premier Cru Chablis. The Grand Cru Chablis are most often those which will see some oak in the aging process and be the most pricey. But these are wines that are age-worthy! There are only 230 acres of Grand Cru vineyards so it’s truly a special wine. Grand Cru wines tend to start around $50 a bottle and go up! Top end Chablis is delightful and as far from California’s oaky, buttery Chardonnay as a big red wine. Here are some names easy to find and great producers: Joseph Drouhin, Domaine Fevre, Jean-Marc Brocard, and my personal favorite Simon-Billaud. These four are all based on personal tastings. 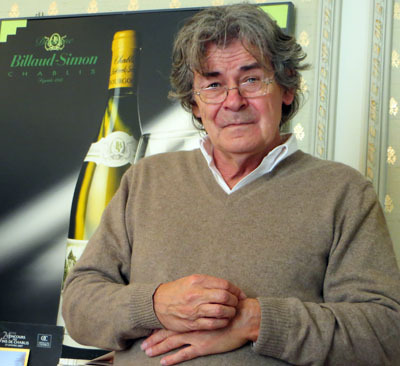 I’m a bit prejudiced toward Simon-Billaud wines because we met in the old chateau with Bernard Billaud. Through a young translator he talked about his family’s years of winemaking. In my nearly seven years of wine-writing, he gave one of the great quotes you’ll ever hear. It’s not arrogance, it’s pride. And you had to hear the derision in “just making Chardonnay” to appreciate the Frenchman’s dignity and pride. It was quite a moment. If you visit that blog post you’ll find links to all my posts from Chablis and lots of photos. I was joined on that Chablis trip by other U.S.-based wine writers. One of the writers I most enjoyed was Michael Apstein. Here is a very thorough piece he penned after the trip. As promised on Facebook, the one region in the U.S. making great – and largely unoaked – Chardonnay is Oregon. Many Oregon Chards are the closest I’ve tasted to Chablis on this side of the big pond!